Local Comic Shop Day 2018 & BaT's Holiday Sale - 11/17 - Comics, Games & Everything Fun! 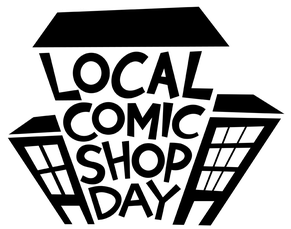 Implemented by the ComicsPRO organization, LOCAL COMIC SHOP DAY™ is conceived to showcase the amazing world of comics and call attention to the vital role comic book specialty stores play in the book industry and our local communities. BaT Comics & Games is pleased to participate in LCSD, when comics from various publishers with limited edition LCSD-variant covers are available at participating stores. Limit of one LCSD item per person, as these are super limited items. -- LCSD 2018 Rick & Morty Treasury Ed. get $10 OFF an item! Treat yourself & those special people on your list.